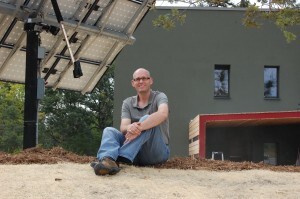 The 2010 Passive House Days are over and we are going to take a break from tours and site visits. Tim Eian, Gary Konkol and the design team would like to thank you, the roughly 2,000 visitors that came and saw this home in the last 6 weeks or so. 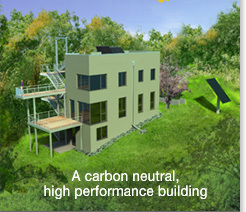 I hope to have offered insight, knowledge, and excitement about the Passive House building energy standard. Going forward, I am going to collect actual data comparing the real-life performance of the Passive House in the Woods to the energy model. I will continue to feed this blog from time to time with information. You may also find more information on Passive House and my studio’s ongoing design work at www.testudio.com/blog. Posted in Announcement | Comments Off on Thanks for visiting!